Alpha Overseas is a known manufacturer and supplier of Alloy Steel ASTM A210 Gr A1 Pipes and Tubes, which are specifically designed to meet the variegated preferences of our clients. ASTM A210 Alloy Steel Gr A1 Pipes has some great features to offer such as Seamless finish, Light weight, Rust proof, Long functional life, Rugged design, Reliable and more. 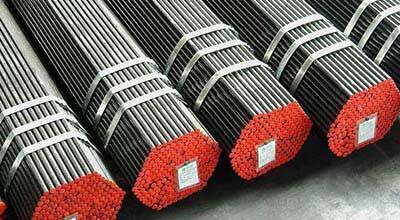 ASTM A210 Alloy Steel Gr A1 Tubes is widely used in numerous industries for different power pass applications. Extensively known for excellent durability, seamless finish and robust construction, these ASME SA 210 Alloy Steel Gr A1 Seamless Pipes mainly finds application in boilers and heat exchangers. In the world of an electronic component and electronic hardware, ASME SA 210 Alloy Steel Gr A1 Welded Pipes are typically used to space circuit boards, doors, panels or gears. We are instrumental in offering our clients a wide range of ASTM A210 Alloy Steel Gr A1 EFW Pipes which is commonly used in vacuum furnaces in various industries. These ASTM A210 Alloy Steel Gr A1 ERW Pipes are accessible in different specifications as per the variegated needs of customers. Alloy Steel ASTM A210 Gr A1 Pipes and Tubes, ASTM A210 Alloy Steel Gr A1 EFW Pipes, ASME SA 210 Alloy Steel Grade A1 Seamless Tubes, ASME SA 210 Alloy Steel Grade A1 Welded Tubes, ASME SA 210 Alloy Steel Gr A1 Welded Pipes Leading Manufacturer & Stockist in Mumbai, India. We examine the whole range of ASME SA 210 Alloy Steel Grade A1 Seamless Tubes in terms of quality so as to dispatch a flawless range. The fillet weld in ASME SA 210 Alloy Steel Grade A1 Welded Tubes may be inspected by surface examination, liquid penetrant or magnetic particle examination methods. Our products are made from superior quality Raw Material and are available in Customized Designs to suit different requirements of the clients. Our contemporary technology and constant efforts to acquire new skills to enhance production is the secret of our success and impeccable quality. 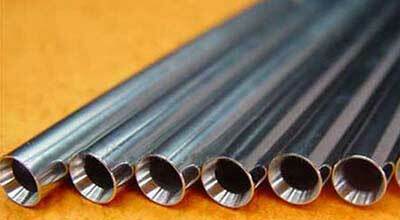 Alloy Steel SA 210 Grade A1 is applied in Chemical Processing and Food Processing Plants. A Wide Range Of the Best Quality astm a210/asme sa210 seamless medium carbon steel boiler and superheater tubes dealer, asme sa210 gr.a1 seamless steel boiler pipes, astm a210 gr a1 fluid pipe seamless steel boiler tube, astm a 210 gr. a1 heat exchanger tube, grade a1 asme sa / astm a210 gr.a1 pipes, asme sa / astm a210 pipes supplier, gr.a1 astm a210 boiler pipe and tubes, boiler pipes, a210/sa210 boiler pipes, asme sa / astm a210 gr.a1, a1 a210 pipes, manufacturer of boiler superheater tubing, boiler tube dealer, a210 gr.a1 carbon steel seamless boiler pipe, ibr approved supplier of asme sa / astm a210 gr.a1 boiler pipes and tubing, gr.a1 astm 210 pipes & tubes, astm a210 heat exchanger tubes, buy astm a210 grade-a1 seamless steel boiler pipes, standard grade a1 with ibr certified astm a210 boiler pipes and tubing Supplier in India. We are Exporter of Alloy Steel SA210 Grade A1 Pipes and Tubes in Worldwide Such as India, Costa Rica, United Kingdom, United States, Jordan, Russia, Estonia, Iraq, Qatar, Trinidad & Tobago,Tunisia, Japan, Pakistan, Chile, Brazil, Morocco, Peru, Kuwait, Gabon, Australia, Mexico, China, Ukraine, Saudi Arabia, Singapore, Slovakia, Mexico, Chile, Croatia, Nigeria, Bolivia, Iran, Finland, Belarus, Israel, Kazakhstan, Norway, Taiwan, Italy, Vietnam, Lithuania, Angola, Zimbabwe, Poland, Argentina, Spain, Philippines, Greece, Denmark, Serbia, Ireland, Lebanon, Hungary, Puerto Rico, Libya, Nigeria, Kenya, Iran, Sweden, Czech Republic, Germany, Macau, Nepal, Bangladesh, Ghana, Namibia, Azerbaijan, Sri Lanka, Tibet, Colombia, Romania, Afghanistan, Hong Kong, South Korea, Yemen, Venezuela, South Africa, Poland, Egypt, Indonesia, Malaysia, Ecuador, Bulgaria, Bahrain, Netherlands, Switzerland, France, Canada, Portugal, United Arab Emirates, Turkey, Bhutan, Thailand, Austria, Belgium, New Zealand, Gambia, Oman, Algeria, Mongolia. We are Suppliers of Alloy Steel SA210 Grade A1 Pipes and Tubes in India Such as Mumbai, Manama, Mexico City, Al Jubail, Sharjah, Milan, Gimhae-si, Tehran, Ho Chi Minh City, Navi Mumbai, Madrid, Cairo, Kanpur, Lahore, Hong Kong, Moscow, Noida, Nashik, Atyrau, Doha, Karachi, Seoul, Santiago, Toronto, Thiruvananthapuram, Port-of-Spain, Caracas, Coimbatore, La Victoria, Chennai, Houston, Ulsan, Kolkata, Ahmedabad, Jeddah, Algiers, Vadodara, Secunderabad, Kuwait City, Bogota, Ahvaz, Kuala Lumpur, Chiyoda, New Delhi, Aberdeen, Indore, Dammam, Visakhapatnam, Vung Tau, Colombo, Geoje-si, Lagos, Hanoi, Howrah, Istanbul, Surat, Singapore, Ernakulam, Perth, Brisbane, Faridabad, Los Angeles, Melbourne, Al Khobar, Courbevoie, Hyderabad, Jamshedpur, New York, Chandigarh, Bhopal, Thane, Muscat, Montreal, Ranchi, Petaling Jaya, Edmonton, Busan, Ankara, Baroda, Rio de Janeiro, Ludhiana, Riyadh, Dubai, Nagpur, Abu Dhabi, Haryana, Pune, Gurgaon, Bengaluru, Granada, Dallas, Pimpri-Chinchwad, Rajkot, Calgary, Sydney, Bangkok, Jaipur, Jakarta, London.